Are you looking for private, personalised accommodation for your winter or summer holiday in Chamonix? We propose customized rented holiday accommodation in Chamonix, privately-rented accommodation. Each accommodation provider gives you a Carte d'Hôte (guest card) when you arrive, offering free public transport throughout the Valley among other things. Studio with cabin for 4 persons, in the centre of the village Les Houches.... Book now ! Studio 2 * 27 m2 for 4 people in Les Houches... Book now ! Nice apartment located in the center of Les Houches village. Close to the bakery, supermarket and tourist office. Direct access to the slopes with the sk... Book now ! In a recent residence, at the foot of the cable railway of Bellevue and the ski lifts (30 meters). 2-room apartment (31m ²).... Book now ! 2-room apartment with attic room for 5 persons. Ground level with private garden and view on the mountain.... Book now ! Cottage 3* T3, capacity of 5 people, 45 m2 Boutique cottages designed with unique local flavour. 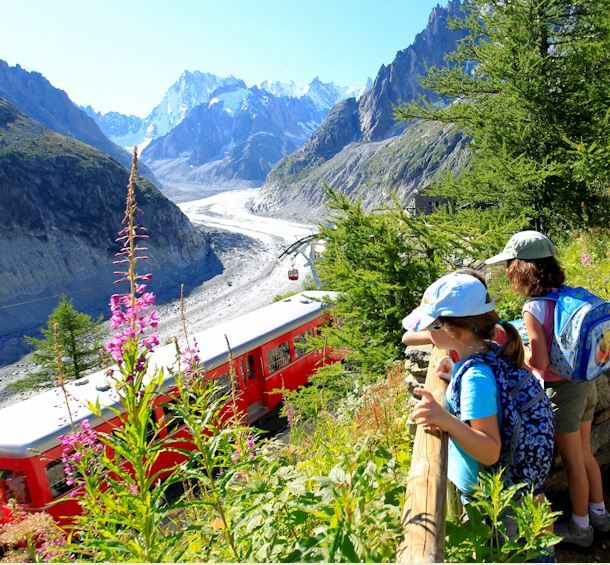 Amazing views facing the Mont Blanc and Mountains all... Book now ! Spacious 3-room apartment for 4 persons, renovated in 2013 the wood is dominant and warm... Book now ! Apartment 3 *,48 m2 T3 in a Savoyard chalet which capacity being is 4 people... Book now ! The St Nicolas conttage is lovely and pretty indépendent cottage It is the smallest of the 3 “chalets du Bonheur” chalets with a height of 3.60 meters, b... Book now ! Apartment in chalet for 6 people... Book now ! 3* apartment of 93m² in a semi-detached chalet, accommodation for 6 persons in Les Houches area.... Book now ! Large 57 m2 (613 sqft) two bedroom apartment on the ground floor of an old converted Savoie farm located in les Houches. 3-star rating. Maximum 4 people. I... Book now ! Lovely and authentic cottage, Waking up in the morning you’ll take your meal on the terrace in front of our magnificent mountains or enjoy the quant indoor... Book now ! The chalet is located in an exceptional and very rural setting with gorgeous, unobstructed view of the glacier Taconnaz and the Mont Blanc.... Book now ! Large apartment DUPLEX(first and second floor),high class,brand new construction in a quiet location between Les Houches and Glacier des Bossons.Max. capac... Book now ! Private chalet 2 * 220 m2 and a capacity of 22 people in Les Houches area... Book now ! 4 * Chalet of 120 m2, can accommodate 6 people in newly built Houches sector... Book now ! Large apartment of 170 sqm, features a large terrace and balcony, located in an old farmhouse. Space and volume.... Book now ! Chalet 3 * a 140m2 surface and a capacity of 4 to 9 people in Les Houches sector... Book now !